We know Jay-Z provided one of his best verses in a while on Young Jeezy‘s “Seen It All,” the title track from his upcoming album, but is this the best collaboration these two have ever had? 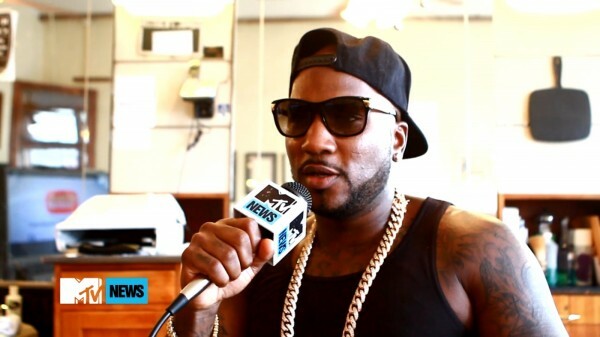 Jeezy is putting his money down on it. During his interview with MTV, Jizzle reveals a few fun facts about how the song came about. First thing’s first, the single was supposed to be for Hov’s Magna Carta Holy Grail, but was put on hold for Snowman’s Seen It All album. Most interesting, Jeezy claims Jay told him he teared up while writing his verse because he was keeping it so real in the lyrics. He puts it on the Bible he was being 100% authentic too. The track struck Hov so much he recorded it and sent it back in 30-40 minutes tops. Go spin that verse back again and pay your respect to Shawn Carter.